Ines Khouildi (born 11 March 1985) is a Tunisian handball player. She plays for the club HCM Râmnicu Vâlcea and for the Tunisian national team. She was part of the Tunisian team at the 2015 World Women's Handball Championship. ↑ "XIX Women's World Championship 2009, China. 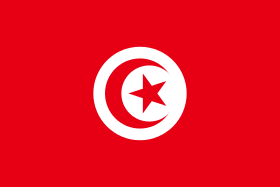 Tunisia team roster" (PDF). International Handball Federation. Retrieved 4 May 2010. This article is issued from Wikipedia - version of the 6/27/2016. The text is available under the Creative Commons Attribution/Share Alike but additional terms may apply for the media files.